Save thousands on a brand new 2019 INFINITI QX80 from Red Noland INFINITI in Colorado Springs. Current INFINITI owners can take advantage of our INFINITI Loyalty Bonus offer and save up to $3,000 on the purchase of a new luxury crossover. Just show proof of your current INFINITI vehicle registration to qualify. Not yet an INFINITI owner? 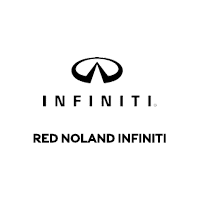 Red Noland INFINITI has a discount for you too, our INFINITI Conquest Bonus! Just show ownership documentation of a Cadillac Escalade, Ford Expedition, Lincoln Navigator, Toyota Sequoia, or full-size Chevrolet/GMC SUV. Conquest Bonus recipients can also save up to $3,000 on an elegant new 2019 INFINITI QX80! We have several QX80 models to choose from, including this 2019 INFINITI QX80 Limited. Sitting in the passenger cabin of this stunning new QX80 is a true luxury experience. This top of the line trim level offers standard features that high-end luxury vehicle owners expect. Heated and ventilated front quilted leather seats are plush and comfortable for long trips. Second row passengers will love the heated captain’s chairs with dual 8-inch screens for entertainment. A comfortable third row of seating greets passengers with the same supple leather as the first two rows. Open-pore wood trim is featured throughout the cabin. An 8-inch infotainment system touchscreen delivers world-class technology at the touch of a finger. The infotainment system is attached to an immersive 15-speaker Bose Cabin Surround Sound system. Use the convenient touchscreen to navigate to an unknown address or view images from the convenient Around View Monitor. Enjoy the sunshine this spring and summer with easy-to-operate sunroof in the first row. 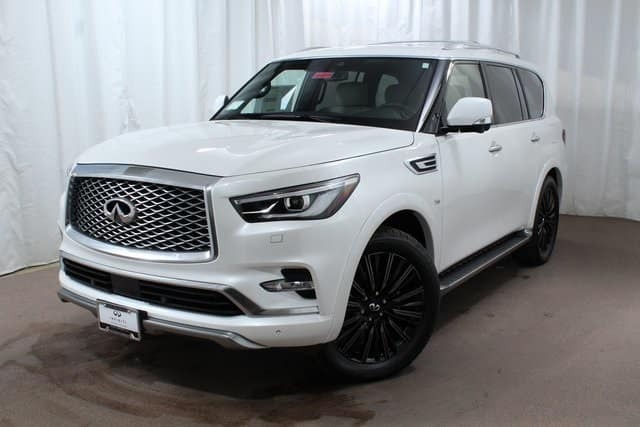 There are too many features to list on this amazing 2019 INFINITI QX80 Limited! Red Noland INFINITI has a great selection of 2019 QX80 trim levels in our inventory. These incredible money-saving offers end on April 1, 2019. Stop in to claim your Loyalty Bonus or Conquest Bonus on a luxury SUV today!